Florida has some great inland diving. Most people think of the Keys when they think of Florida diving. We’ve been there too! 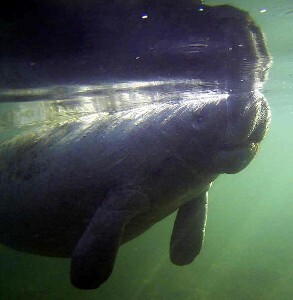 Our first trip was scheduled with the primary intent of snorkeling with the manatees. And that we did! 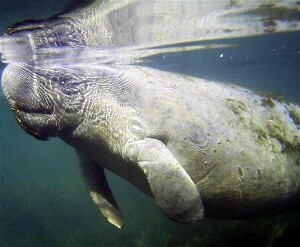 We found the gentle giants in Crystal River, located on the west coast of Florida. Some manatees can be found there year round, but most of them spend the winter months from around the end of October until March there. 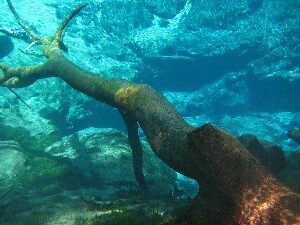 The Gulf waters cool off, so they seek the constant 72 degree temp of the rivers and springs. 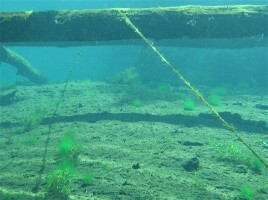 A word of warning – Many of the springs are entrances to underwater caves. 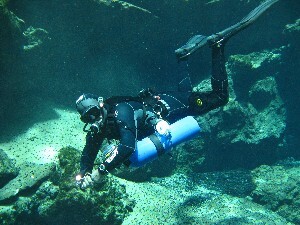 Diving in underwater caves requires extensive training and specialized equipment. Please do not dive outside of your training limits. 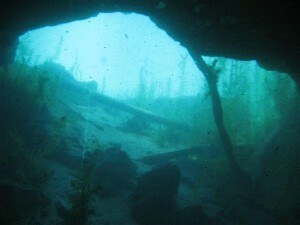 In 2007, 6 divers died in the caves of N. Florida. One of these divers was an open water diver in open water dive gear. 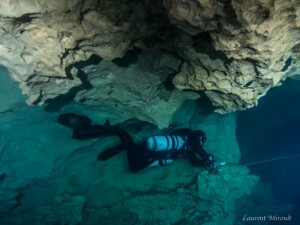 Another one had never received any training to dive in caves. Don’t become a statistic. If you’re still thinking a quick peak won’t be a big deal, then take a look at the videos on this page. 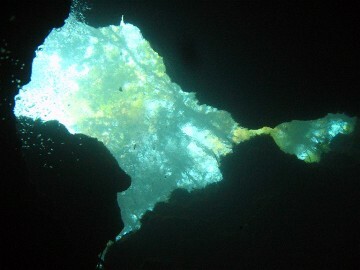 Bozel is a spring cave located on the Chipola River and only accessible by boat. 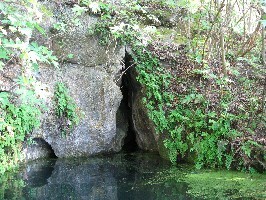 The cave entrance is located at the head of a spring in a small, shallow basin. 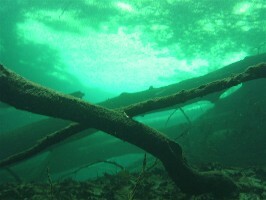 Maximum depth at average river level in the basin is 18′. There is no real cavern to speak of at this main entrance. However, there are a couple of sinks not far from the entrance that do offer larger caverns. Access to these sinks may be on private property and would require trespassing so is not advised or recommended. The entrance is directly at the bottom of the basin and is rather small in itself. 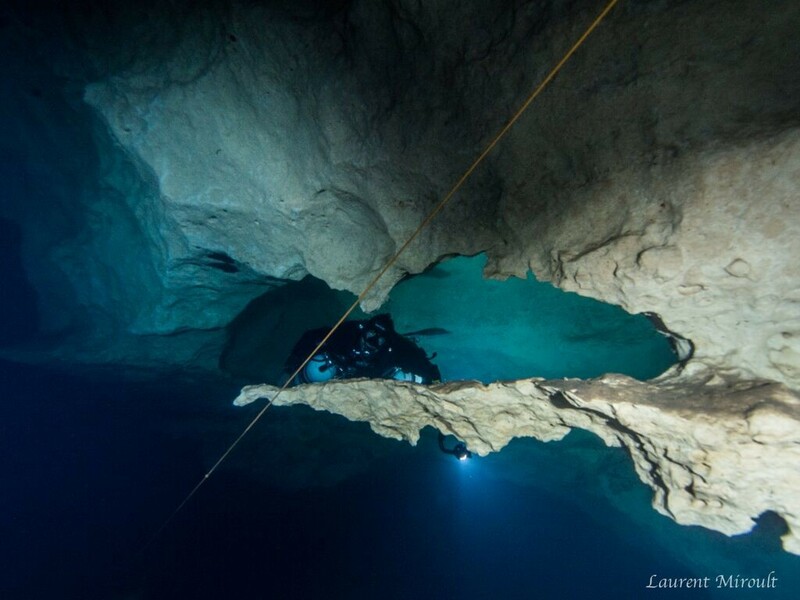 The first part of the cave is relatively shallow, staying in the 30-50′ range and passing through several vertical restrictions only suitable for sidemount. 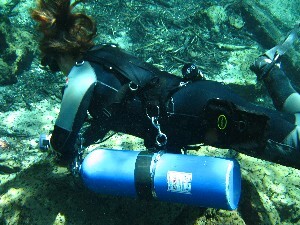 We’ve heard of divers getting through in backmount, but it is a tight squeeze that requires digging through the sand in backmount. 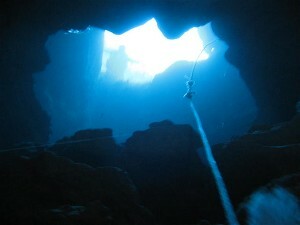 The cave ends up dropping down to the 110′ depth range and continues on for several hundred feet. 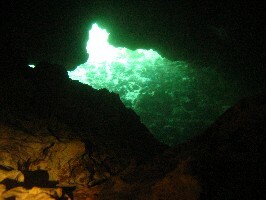 The shallow portion of the cave is made up of white limestone walls and the deeper portion is a dark, fine silt. In 2014-15, a small group of us began an exploration project at Bozel and more than doubled the length of lined passage in the system, including extending the end of the line. The system has been surveyed and mapped. A map is available at our shop in Greenwood. 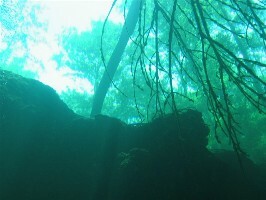 Cypress Spring is located on Holmes Creek and currently accessible by boat or canoe only. There used to be land access to it until a water bottling company bought the land surrounding the spring run and restricted access. Swimmers and divers can still get to it after a short boat ride up Holmes Creek from Culpepper Landing boat launch located just outside of Vernon, FL. Just look for the unmistakable, clear spring run to your left. 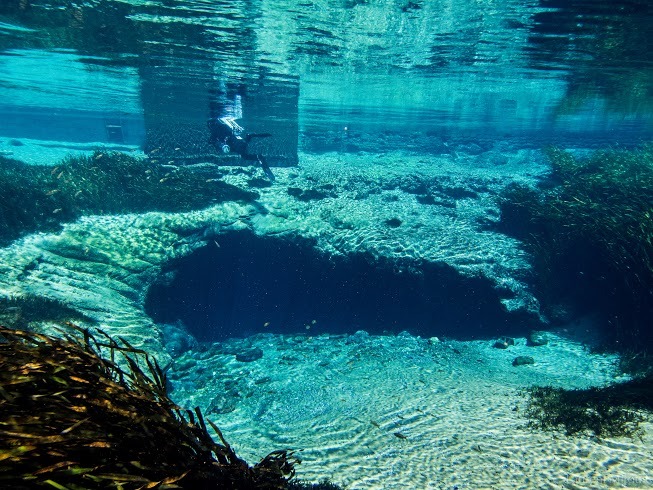 A few hundred yards up the run and you’ll find one of the most beautiful spring basins in all of Florida! 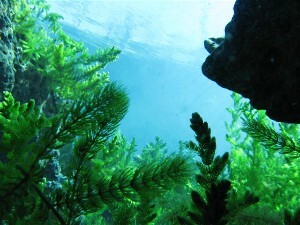 With a maximum depth of about 25 feet and crystal clear water, divers and swimmers can both enjoy this beautiful spring. There is a small cavern at the bottom of the basin. Just feel for the flow of water to find the entrance. Beyond the cavern is also a small cave that requires sidemount to access and doesn’t go very far. This is definitely a place worth visiting over and over! Here’s a short video we took during our visit there. 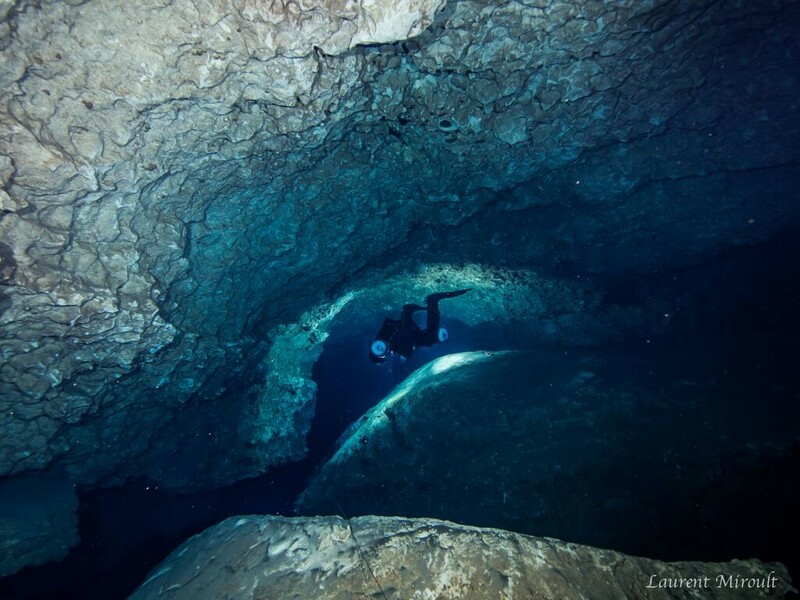 Located in the Florida Panhandle in Merritt’s Mill Pond in the small town of Marianna, FL, this is a great cave to dive (but only if you’re cave certified!) 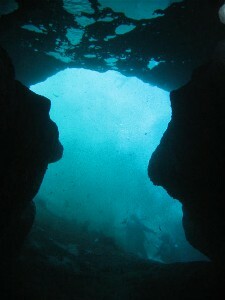 You can actually do open water dives here to about 15 feet depth, but it’s a real small area. 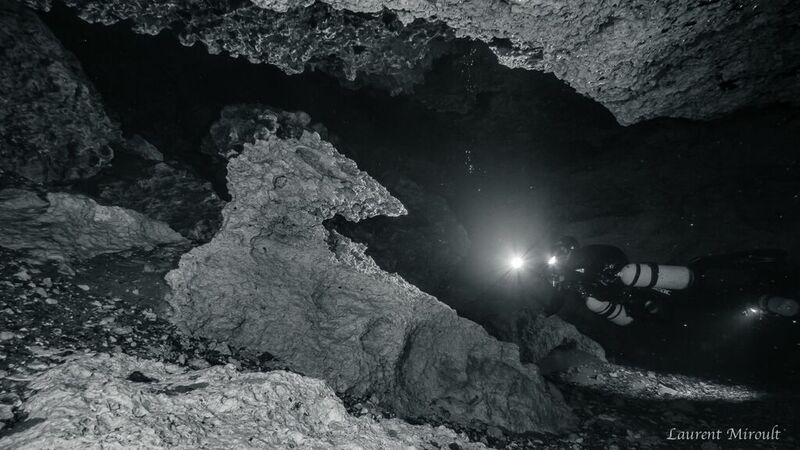 We recommend you be at least cavern trained to make this a worthwhile place to dive. The cavern zone goes in a way and offers a lot to see. 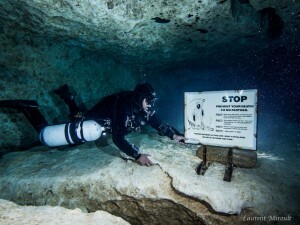 Please don’t go past the grim reaper sign if you’re not a trained cave diver! Here’s a photo of the exit from just past the sign. 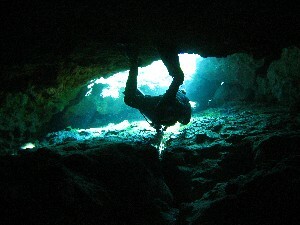 This is the way it looks going into the cave. Use a reel to enter because the cavern zone is large enough you can easily get lost in there. This is a high flow system that sometimes requires a pull technique in some areas, mainly where the passage gets smaller and bottlenecks. If you read the cave properly you’ll find that you hardly have to touch it. Make sure to look around for the interesting formations that can be found throughout such as the Chickenhead Rock formation. Use one of our boats to get to JB for a dive in the morning and then head over to Twin or Hole in the Wall for an afternoon dive. Keep in mind, between 10 and 5, from Memorial Day to Labor Day, this is a swim park open to the public. If you dive there, please be nice to the local swimmers. It took a long time to get access to the spring and even longer to get year round access, so let’s do what we can to keep it open! Water temp, as in all Florida springs, is a cool 69 degrees year round. 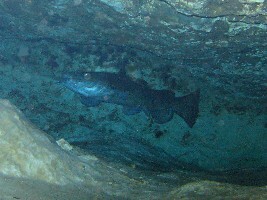 Maddachalk is a spring cave located on the Chipola River. The entrance isn’t very big and can be difficult to find if the river level is up. The only access to this cave is by boat. 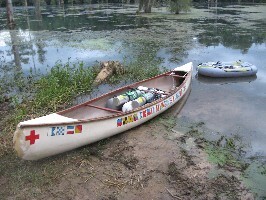 There are a few launch sites close by depending on the size and type of boat you have. 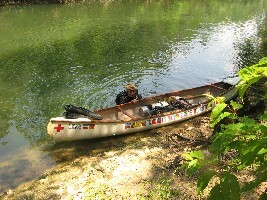 We were able to launch our smaller canoe fairly close to the spring. 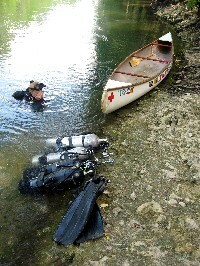 After securing our canoe, we geared up in the shallows and began our dive. 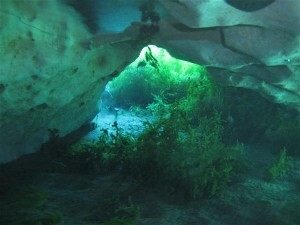 The cave entrance is on the bottom of the river just below a limestone shelf. The entrance is short but wide. We found the primary line, which happens to be rope, and began our penetration. We quickly came across a very large catfish, then another. About 400′ or so in, we came across another 2 catfish. These things were enormous. 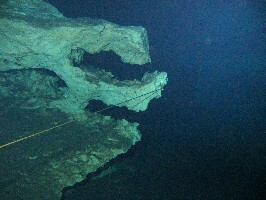 The rope does eventually change to white cave line. 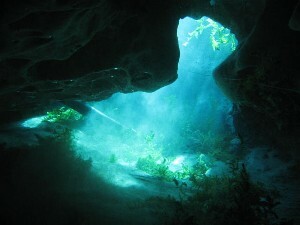 The cave has a maximum depth of about 40′, but the average is about 20′. Water temperature is 69 degrees. There are a few jumps in the system, but they are not very clearly marked. There are some pretty low ceilings in the system. It could probably be dived in backmount, but we don’t recommend it. 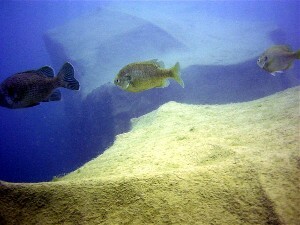 Two systems in Merritt’s Mill Pond close to Jackson Blue, but only accessible by boat are Hole in the Wall and Twin Caves. Neither of these systems has a very large cavern zone. And both caverns are very sandy and easily silted out. Both systems have small docks built into the trees close by. Hole in the Wall’s entrance is in the wall right by the dock. Here’s a photo from in the cavern. 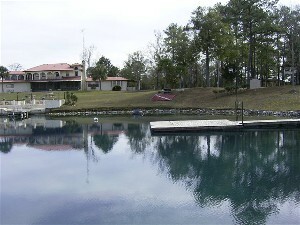 To get to Hole in the Wall, you’ll need launch off one of the boat ramps on the pond. The closest boat ramp is at the end of Day Loop, but is primitive and it can be easy to get a vehicle stuck in the mud there. If you’re concerned about getting stuck head over to the Hunter Fish Camp Road boat ramp. Both roads are off of Blue Springs Rd and have boat ramp signs. 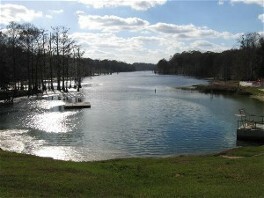 Once you get your boat in the water with gear loaded up, head south from Day Loop or north from Hunter Fish Camp Rd. Hole in the Wall is closer to Day Loop. You’ll tie off onto the dock and gear up. Enter the water and head to the bank. 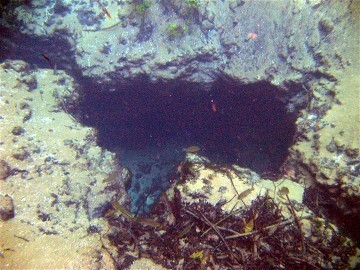 The entrance is about 8′ under the surface. Head towards the sign, past it, and down the large chimney. You’ll find 2 gold lines. The one to the right takes you upstream. The line to the left takes you downstream. About 700′ back you’ll come across the big E.
This is definitely a cave worth visiting on a regular basis. 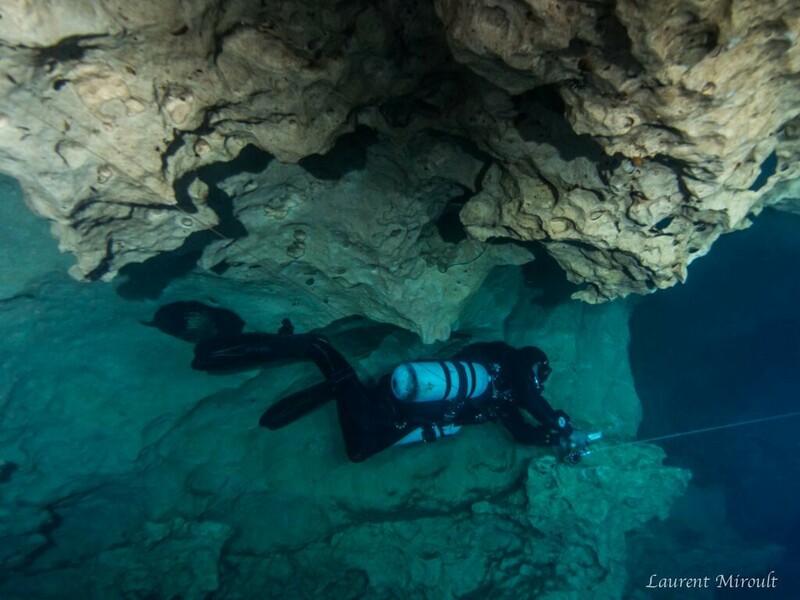 However, typically from around October to April, the cave siphons the pond water in and water temps drop into the 50s with visibility also dropping. 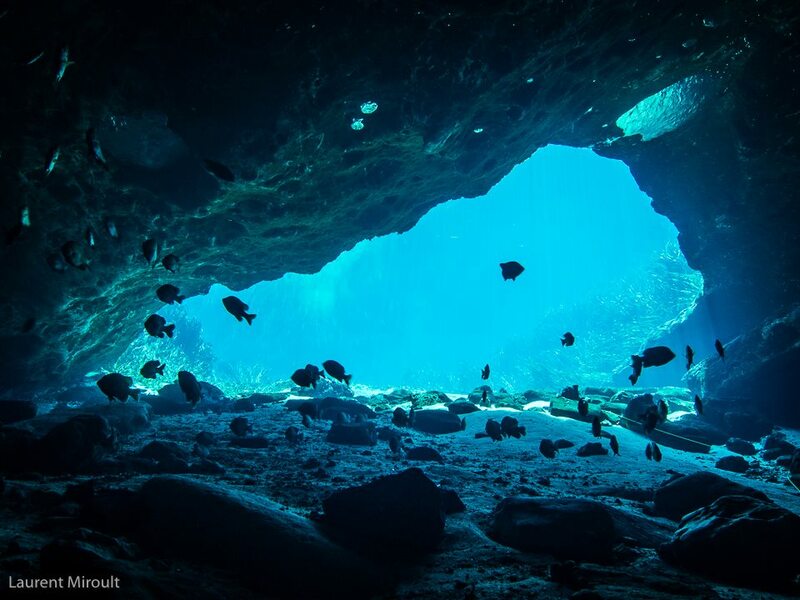 This cave is better visited between April and October. Twin’s entrance is a short swim toward the middle of the pond from Day Loop. The cavern has a couple of entrances, both which are very beautiful. Again, both of these systems have very silty entrances. If you are cavern trained and decide to check them out, make sure you reel in. Here are a couple of photos of some species specific to this area. Both of these were photographed in Hole in the Wall. It’s doubtful you’ll see either of these in the cavern zone. There are other springs in the Mill Pond. 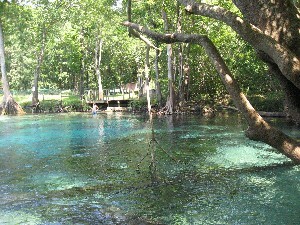 Two of the springs close to Jackson Blue and Twin Caves are Shangri-La and Indian Washtub. 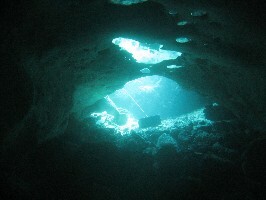 The entrance to Shangri-La is in the wall of the limestone bank about 10′ below the surface. The entrance and cavern area decent size. The cavern quickly pinches down into a sidemount only cave. Indian Washtub is not too far from Twin Caves. It is a small opening in the limestone. 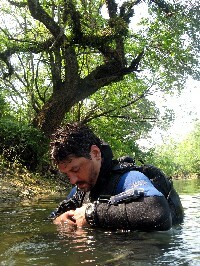 There are a couple of small holes that a diver can get into, but it’s very silty in there so a line is recommended. In 2015, Rob conducted exploration and survey in Indian Washtub and the cave now has 50% more line than it previously had and a map is available. There is also Gator Hole a few miles from the head spring. The ceiling to the first part of Gator Hole is above the surface. This part of the cave goes back about 200′. 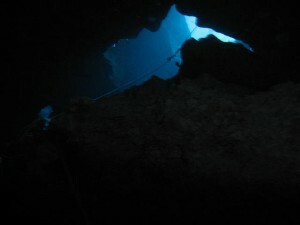 About half way back, the cave drops down into a sidemount only passage that goes on for several hundred feet. Located on the Chipola River just south of Marianna, this is a beautiful system located up a short spring run. 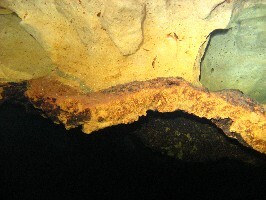 The basin at the top of the run is small and at the bottom is a fissure crack that drops about 40 feet down to the cave entrance. The entrance is small and sometimes requires digging out leaves and branches that have clogged it. Once inside there is a small room that drops down to 60 feet and leads to another restriction that opens up to a decent size passage. 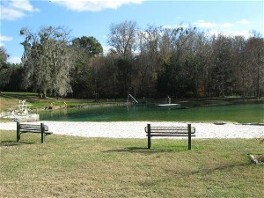 Located south of Ponce de Leon in the Florida Panhandle, Morrison Spring is a county park. Entry is free. In 2008 the county paved the park and there is now a large parking lot, large pavilion, as well as restrooms located there. They also constructed a boardwalk out over the water. Local rains have a significant effect on conditions at Morrison. Too much rain and the basin gets tanic causing visibility to become very poor. However, when conditions are good they are very good. 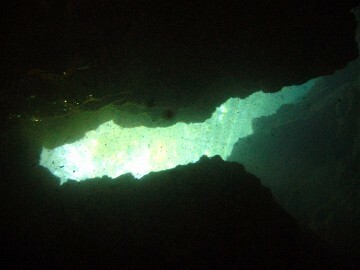 The cavern starts at about 50′ and you can reach depths in the 90′ range. 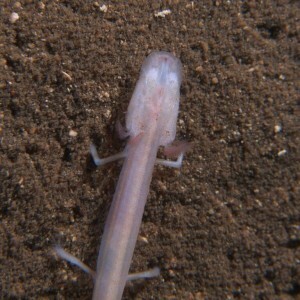 There are dozens of fresh water eels in the cavern. They are pretty harmless, but I still wouldn’t put my hand in front of one! 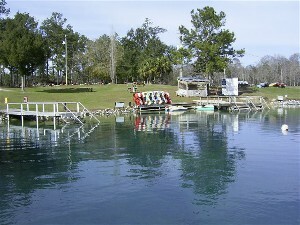 Promise Sink is one of many sinks located in the Leon Sinks State Park in Wakulla County, located just south of Tallahassee. 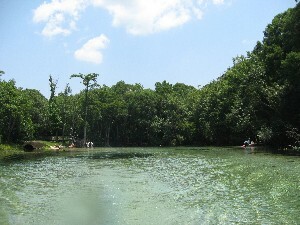 Promise is a popular swimming hole located about along a trail about a mile from the closest parking on state park property. Many local residents head over to this sink daily during the warmer months of the year. Once in the sink, you can choose to go either downstream or upstream. Downstream will bring you into a large room about 200′ from the beginning of the line. 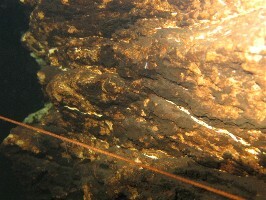 The line gets to a depth of about 95′. There it a short jump near the end of the line that plummets down to a depth of 133′. From there the line continues at a slight angle to depths beyond 200′. It takes about 7 minutes to do a slow swim around the circumference of the large room and 10W HIDs easily get swallowed up in the darkness of the cave. Head upstream and you’ll find a much shallower passage. This passage averages about 30′ in depth. There are constant depth changes with lots of duck unders and a very silty bottom. The walls are very dark, and the line almost blends in to the wall. In places it does blend in, is buried in silt, or is run through short line traps. There are 7 sinks within the first couple thousand feet of the upstream passage. You’re probably never more than 400′ from another sink. About 2500′ in it begins getting a little deeper. 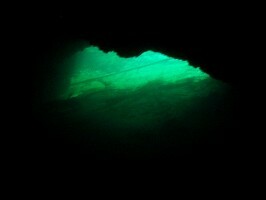 We reached a maximum depth of 70′ before turning the dive and heading back out. This was also about an hour into the dive. 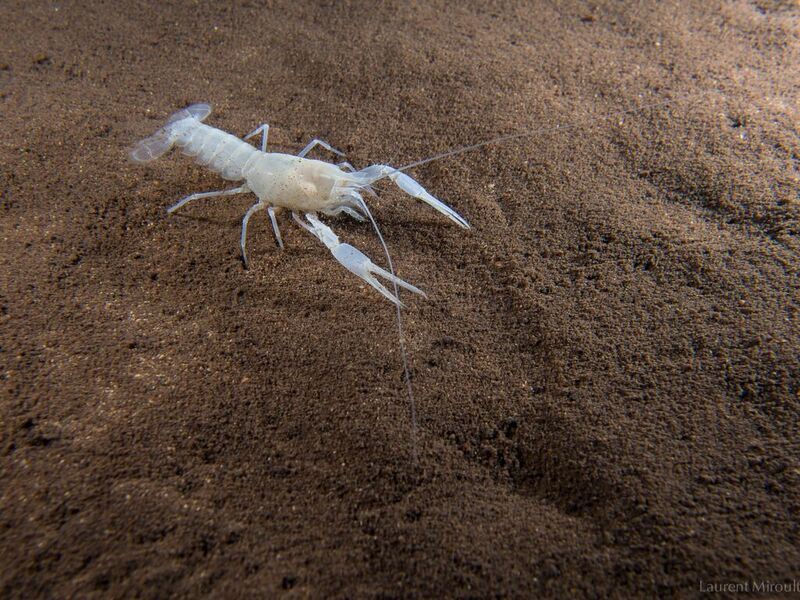 We also saw lots of albino crayfish in this system. 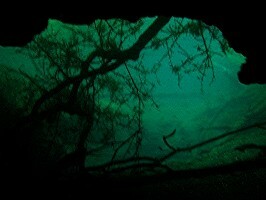 This is a great place to do some dives. There’s a lot to be seen in this system. 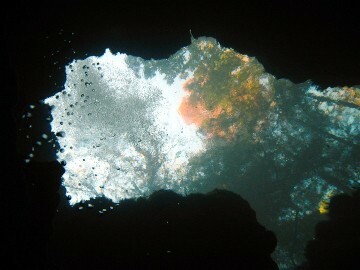 It’s a lot like the caves in Mexico in that it’s shallow and you pass a lot of sinks. The government placed several signs in the area that state no diving. It may not be enforced but it is dive at your own risk at this point. 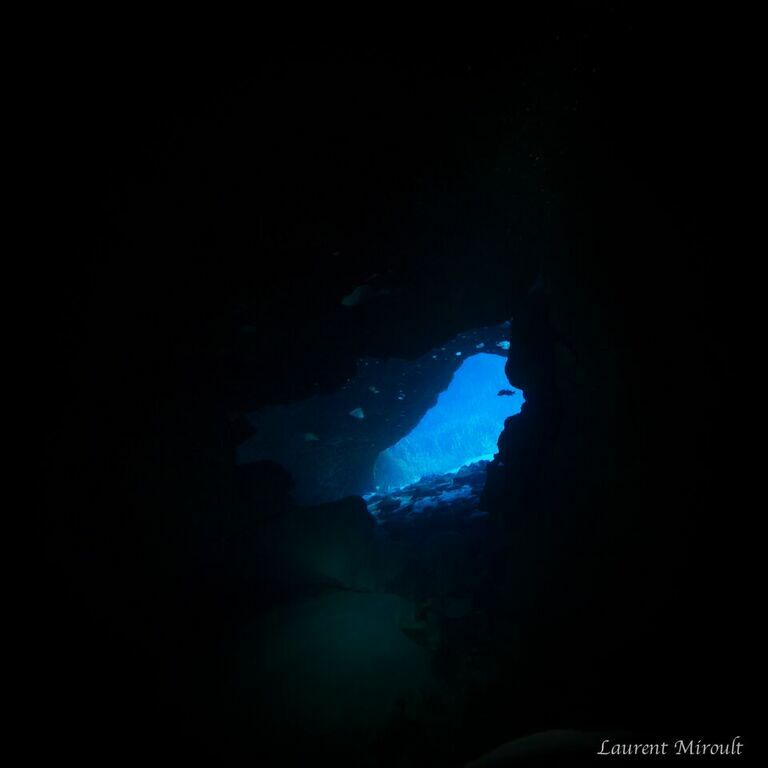 Located north of Ponce de Leon in the Florida Panhandle, Vortex Spring is a privately owned spring that is open to divers. 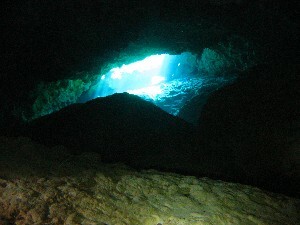 Depths in the open water portion of the spring average in the 20′ range with a maximum depth of 40′ or so at the opening to the cavern. The owners have installed a few sets of stairs and a floating dock. 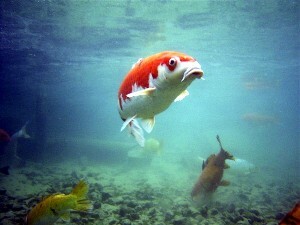 They have also stocked the spring with lots of Koi. 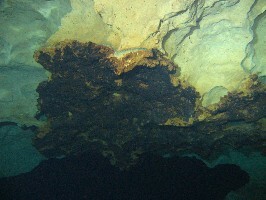 They have also dropped some manmade caverns in the bottom of the open water area. You can see the outside of one in this photo. There is a cavern and cave at this site. The cavern zone ends pretty quickly, then there’s a PVC pipe that leads back to a grate that locks off the deeper section of the cave. The PVC is beyond the cavern zone, so unless you are cave trained, please don’t follow it in. The depth at the grate is over 100′ and it’s quite a distance in from the cavern entrance. Lots of dive training goes on here. We’ve heard that summer weekends can bring a few hundred divers. 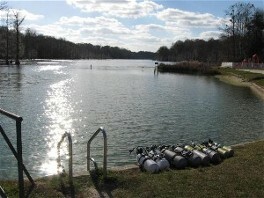 They do have a full service dive shop on site, camping sites, picnic tables, and a covered area with more tables. We recommend visiting Vortex Spring during the week if possible.